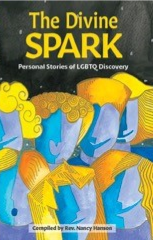 A collection of personal stories of LGBTQ discovery. No matter where you are on your journey one thing is clear - God loves you just as you are! These authors form a common bond as they come to us, sharing their lives. Rejection began at a young age, simply for being born LGBTQ through no choice of their own. Especially when as teens, troubled by their own same gender attraction or gender non-conformity, they began hearing condemnation loud and clear, from both church and the broader society. Their stories pull at your heart strings as they render authentic accounts of what happened to them. But stay with their stories and your defenses will crumble. You will see real individual souls who have carried, often secretively and alone, heavy burdens few could have endured. So, dear reader, we invite you to relax, take in these stories with an open heart and mind. Unmask your own core, same as these “neighbors we have from God” have unmasked in themselves. God’s Spirit will move you to help the LGBTQ community, to stand up for them and advocate for their justice. God bless you as you ponder these stories from the very essence of people who long for acceptance. May your heart receive them openly, with the doing God requires. Listen to the prophet Micah from so long ago: “What does the Lord require of you, but to do justice, and to love kindness, and to walk humbly with your God,” Micah 6:8 (NRSV). It is against God's will to be gay. You can pray the gay away. You are a girl. Stop changing who God made you to be. Love the sinner, hate the sin. Messiah Lutheran council president Keith Holm wrote the first story. He said to me, "Just to let you know, this is a huge step for me even after all these years." As the articles came in, I could feel their life-giving and lifesaving nature. I offer deep gratitude to each writer for their willingness to share experiences of rejection, non-acceptance, judgment, and isolation. Thank you. Providing the LGBTQ community and straight people a resource to help us promote equality serves as the principal reason for this book. Readers might also wonder what lies behind the struggle and what can people do about it. Rev. Nate Aaseng explains the error of using the Bible to deliver such wrongful pain to LGBTQ people. Rev. Dale Chesley reflects upon his spiritual growth beginning with his first days of seminary when he could not understand how women could serve as pastors because the Bible forbade it. Dale's chapter lends insight and empathy for those who learn one concept, then eventually realize another, more compassionate view exists. In the chapter, The Next Step, Executive Director of ReconcilingWorks Aubrey Thonvold has enumerated ways for us to work together to increase instances of acceptance, hope, and joy for gay, lesbian, bi-sexual, transgender, gender nonconforming, as well as those who are questioning. ReconcilingWorks, a nonprofit organization, recognizes that racism, sexism, ageism, homophobia, and all other artificial distinctions seeking to advance one group's privileges and preferences over another, conspire to diminish our world and church. The last chapter contains a concise description of my sabbatical project, "Forming Life-Long Faith in a Loving God." Messiah Lutheran and First Lutheran churches will send me on a sabbatical in 2018, funded by the Lilly Endowment National Clergy Renewal Program. This book comprises an integral part of the sabbatical. Please see the love and light in me. Please love and accept me. God made me just as much as God made you. Truly a divine spark lives in all of us. Let us grow in our ability to see and celebrate the Creator's work. Most of us hope to live an authentic life. The authors courageously describe the discovery and persistence required to strive for leading that authentic life. We are so grateful for their generous teaching. The people in these pages have taken an emotional leap of faith in telling their stories – and we are better for it. 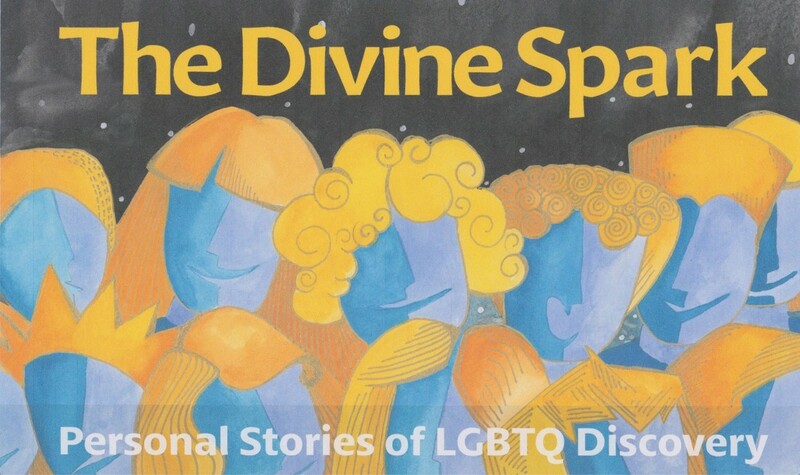 The Divine Spark” is a good read for anyone wondering where LGBTQ stories fit in God’s story. Thirty years ago I began advocating for the acceptance of LGBTQ persons in the church. The going was tough. I never dreamed a book like “The Divine Spark” would appear so soon. It happened because of the uncommon courage of the brothers and sisters who contributed to this fine book. Thank you! As members of contributor Brian Henning’s family of faith, we are so proud of him and so grateful to have experienced his public witness to the person God created him to be. At the same time, we lament that similar stories and experiences of exclusion and prejudice continue to play out, even in our ELCA congregations. In fellowship we add our voices to Brian’s appeal for open conversation, vulnerable expressions of faith, and prayerful reconciliation so everyone might experience “thirty-seconds plus” of God’s divine applause, grace and love. This book is a volume of testimonies of God’s extravagant welcome and relentless hospitality. This collection of stories beautifully illustrates the power of radical truth-telling and vulnerability as tools to foster change and understanding in community. Leonard Cohen wrote is his song Anthem, “There is a crack, a crack in everything / That’s how the light gets in.” These storytellers have embraced their authentic selves (cracks and all) and have become beacons of light in a world that desperately needs illumination. The Divine Spark is a reminder of the divinity within each of us, and the capacity we have of being fully alive. There is no experience like being oneself!